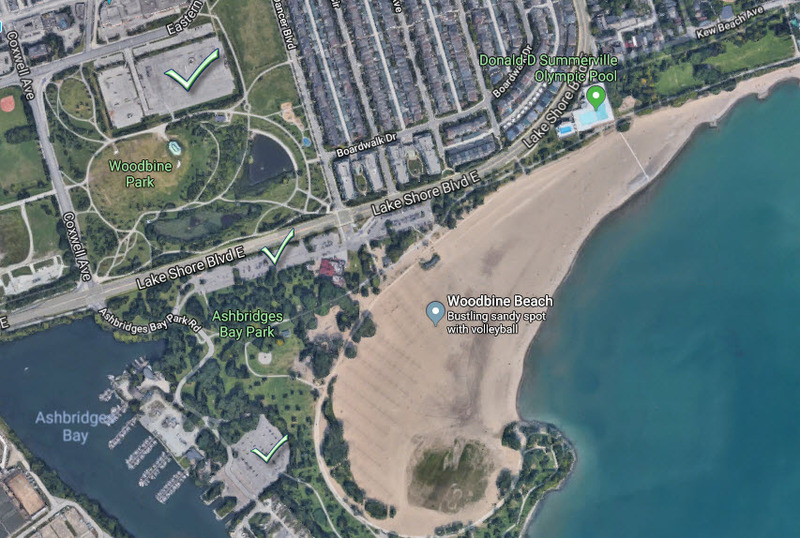 The event will start in the Hamlet of Ashbridges Bay Park and venture out into the Leslie Spit with minimal road usage as we prefer with our events. The 30k event will do a double loop. We will cap the registrations at 800 which will surely sell out fast. Make sure you are a part of this great first year! Stay tuned for more details and online registration links! Dress up as your favourite Shakespeare character. From any of Shakespeare’s works, not just the Midsummer Night’s Dream! IMPORTANT INFO re cutoff times. THEREFORE – RUNNERS ONLY in the 30k event. RUNNERS and WALKERS welcome in the 15k event. BlackToe Running, 95 Bathurst St.
BAGGAGE CHECK will be made available to all runners, free of charge. South of Lakeshore on Coxwell in Ashbridges Bay.